Why getting health advice online isn't a great idea. No matter how careful you are with your health, we bet there’s a guilty habit you indulge in from time to time: paying a visit to ‘Doctor Google’. Doctor Google has no medical qualifications, yet that doesn’t stop people all over the world from throwing health complaints and symptoms into search engines – usually in a moment of irrational panic at 3.45am – and waiting for a diagnosis to appear. You won’t be paying that $7 fee to see your doctor. Anyone with a working brain can see the problem with this behaviour. In so many cases, there’s really no way to determine what information on the internet is legitimate and what is complete hogwash – and this is especially pertinent when health and wellbeing advice is involved. Would you ever leave your health in the hands of a clown wearing a stethoscope? 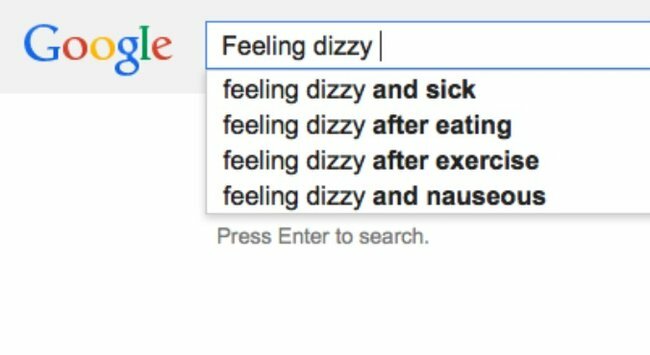 No, you wouldn’t – and yet this is effectively what you’re doing when you consult Google for medical advice. Now, research from the University of Melbourne has revealed just how dangerous seeking health &apos;information&apos; in online forums and communities can be. A study team from the Computational Bioinformatics and Health Information Systems Research Group assessed almost 600 comments left in online health communities, where people share their medical experiences with others who may have been through the same thing. Why doctors don’t want women to get The Pill without a script. The posts, which concerned 12 different medical conditions including lung cancer and high blood pressure, revealed readers come to trust the information for various reasons. For instance, posts with good punctuation, grammar and written expression were viewed as more trustworthy than others. Although sound literacy may suggest a poster is educated, that doesn&apos;t mean their expertise is medicine. “Testimonies on online health communities ... show patients ... have a diverse range of conditions of varying severity, but none of them use the word “doctor” in talking about who helped them solve their medical problems,” says Dr Reeva Lederman, who led the study. Dr Lederman iterates that using online forums to seek support and comfort from people with similar health experience can be immensely helpful, but that acting on medical advice found on the internet is potentially risky. “It is a basic principle of medical care that treatments need to be individualised and small differences in patients can be very significant to outcomes. This is what is missing from [online health communities],” she says. Have you ever followed health advice or information that you found online?